There are hundreds of children’s books about George Washington, but only Farmer George focuses on his lifelong passion – farming. My goal as a writer is to open a new window through which students will see Washington, not as a dollar bill icon, but a man with hobbies, worries and ideas. This book crosses curriculum lines linking history and science. Washington was not only the General in the Revolutionary War and the first President of the United States, but he was also a forward-thinking farmer who understood that in order for new Americans to succeed they would have to learn how to properly farm the land and become self-sufficient. All of his efforts at Mount Vernon mirror his struggle to create a free nation. 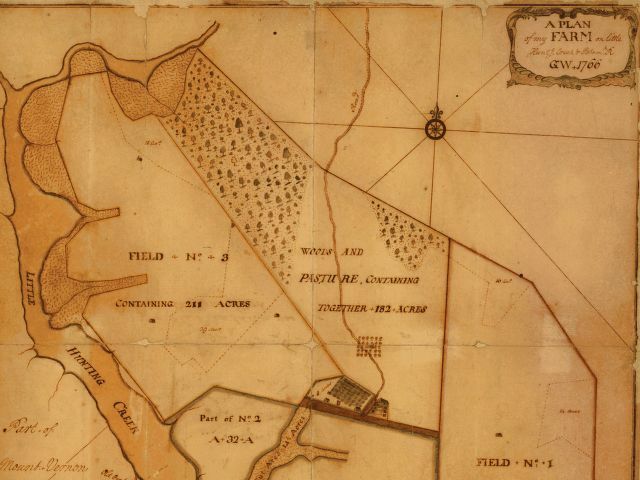 On the end papers of Farmer George is a map of Mount Vernon that Washington drew in 1793. 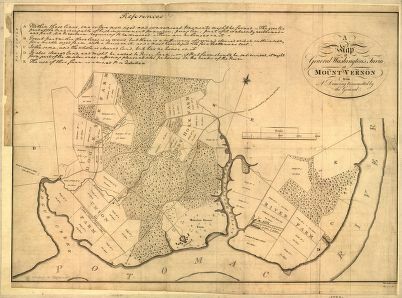 Compare that to this map George Washington created in 1766. How do the two maps compare? Locate a modern map of the area. What differences do you see? Discuss how maps show changes over time, and the kinds of information you can learn from a map. Look at the illustration on pages 405. Choose one person (George Washington, Martha Washington, child, slave, farm manager) and imagine what they might be thinking. Write a diary entry about this day from their point of view. Share with your classmates. How does their person's point of view differ from yours? Why? Discuss what point of view means and how a story can change simply by telling it from another person's perspective. Ask students what it means to be a scientist. Make a list of the qualifications of a scientist as they understand it. They might say, “Conducting experiments, going to college, being smart…” Write them all done. Science is a way to acquire knowledge through observation and experimentation. The classic scientific method includes Observation/Research, Hypothesis, Prediction, Experimentation, and Conclusion. Now ask if George Washington was a scientist. Reread the passages on page 11. Make a list of the ‘sciencey’ things he did. He made observations and recorded them. 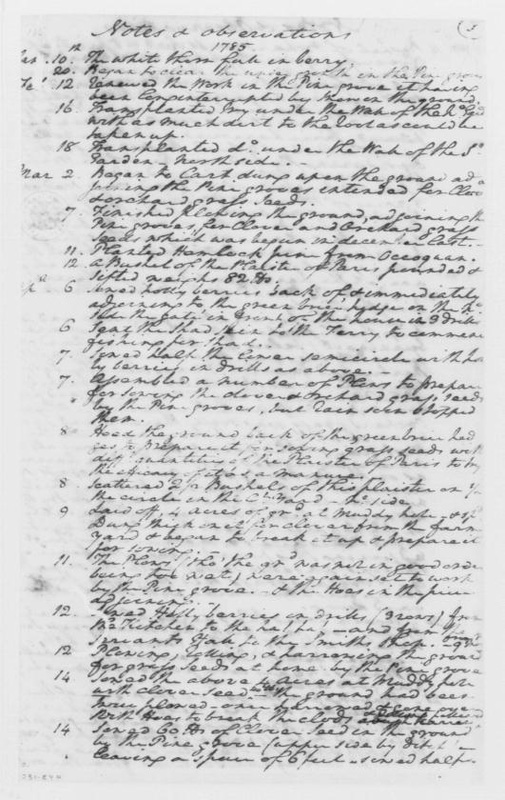 He kept a daily diary where he noted the weather, what was happening on his farm, and what occurred in each test plot. Let the students see some of George’s original observations. Are we sure that he stated a clear hypothesis? — He asked a question - What fertilizer works best? In a way, he predicted that the best fertilizer would be among the handful of manures and other composted material that he chose to observe. And he experimented –Washington used ten boxes of similar size, the same number of seeds and a single variable -- the fertilizer. Locate in his diary, Monday, April 14, 1760., to read the full description of the quote I used on page 11 in FG. What was George’s purpose in doing these experiments? And what did he do with the knowledge he learned? Why? Soil – enough of the same soil to fill all 6 cups in the container. The soil can be a basic potting soil (without fertilizer mixed in) or top soil from the yard. Put the same amount of soil into each cup. Leave one cup with just plain soil. Mark the rim with a colored marker. This is your control. Place 1 tsp of each fertilizer in the remaining 5 cups (one fertilizer per cup). Mix with soil. Note on your Observation Sheet which cup contains which fertilizer. Plant two seeds in each cup. Record the date on your Observation Sheet. Write down your prediction. What seeds fertilize will work best? Every day observe and record what you see. It will take a few days before your seeds will sprout. Water on a regular basis. Using a spray bottle works well. While you wait for your seeds to sprout. Research what nutrients, if any, are in the 5 fertilizers. How do those nutrients affect plants? Have your students contact the local Cornell Cooperative Extension or email a knowledgeable Master Gardener or local nursery. Conduct an internet search. Have students evaluate the websites they found. Are they helpful? Are they accurate? How do they know? Research the nutrients a plant needs to grow. How do they compare with the nutrients found in the 5 compost materials? Does this change your predictions?